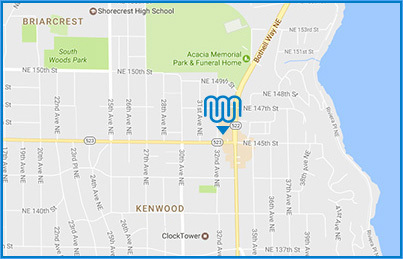 For nearly 40 years Northwest Mechanical has provided Seattle-area homeowners and businesses excellence in heating, cooling, solar and mechanical services. We are expert in the design and installation of home ​Comfort Systems ​utilizing radiant floor heating and ductless split heating and cooling. All of our systems are designed for energy efficiency and longevity and we provide a full range of services including; system design, installation, service and repair. Our solid reputation has been built on superior customer service and our relentless pursuit of technological breakthroughs. A radiant floor is the ideal heating system for comfort, aesthetics, and energy efficiency. NWM have been experts in radiant and hydronic heating systems for over 35 years. Are you looking to repair or replace an oil furnace? Do you need help maintaining an older boiler or an expert who can help you decide about upgrading your home heat? That’s us. Outfit your home with a new hot water heater for long-lasting comfort and energy-efficiency. It's the right move for your family and for the planet. Ductless is an increasingly popular option for Washington state residents. Between the low operating costs, the quick and easy operation, and extreme efficiency- it’s easy to see why. With the most thorough installation process backed by manufacturer standards, call the experts for yours today- call NWM. Your resource for information and solutions to keep your home running smoothly after discovering you have Kitec piping. NW Mechanical played an integral role in the Kitec discovery, and continues to provide the best solution to avoid damage in Washington homes. Whether you’re planning a new commercial project or a multi-million dollar home, we have the design professionals and years of experience to complete complex systems professionally and with the most advanced solutions. From conception to installation, NWM is fully outfitted to take your design to realization. General contractors and architectural firms are constantly impressed with our level of communication and implementation, because that’s the NWM way. Reduce your carbon footprint and your utility bills. Solar electric panels and solar thermal solutions provide smart, green energy and heating for your home and pool. See how the numbers add up -- even in Seattle! Installed a custom, comprehensive dehumidifying system for an indoor pool, along with full mechanical heating controls, timers, and dual-boiler systems. Installed Runtal radiators for a new home construction project. Installing a cutting edge Vitodens dual boiler system in a residential home, providing pool heat, domestic hot water, and heat to radiant floors. Residential – NTI combination heating system providing domestic hot water, and radiant floor heating using solar heat available for both. Vitodens boiler installation for multiple radiant heating zones. Installing cutting-edge pipe monitoring technology- Digital MagnaPump for 12,000+ sq ft residential system providing variable speed flow to different parts of the home. Our licensed and manufacturer-certified technicians are dedicated to customer care. level of standards in the area. As proactive maintenance service partners, our priority customers receive annual scheduled maintenance, priority service even in emergencies, discounts, and more. You’ll benefit from a long-term relationship with a trusted service technician who is not only trained to care for your equipment, but trained to care for you and your home. “We have been a customer of NW Mechanical for the last 12 years. They have never failed to give the highest level of service.